Assam’s badminton prodigy Ashmita Chaliha is all set to represent India at the Asian Games to be held in Jakarta from August 19 to 28. 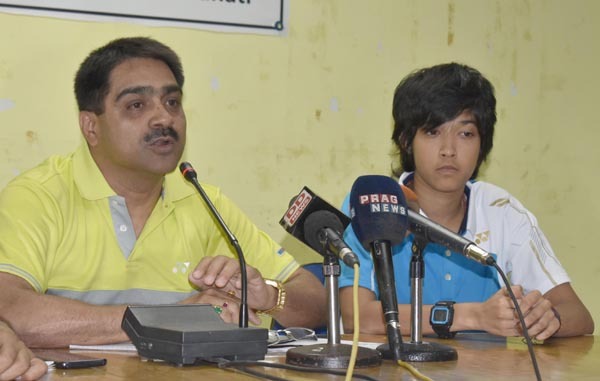 “It is very good to see three players from Assam being selected to represent the country in Asian Games and other international tournaments,” Assam Badminton Association secretary Omar Rashid said on Wednesday. Ashmita said, “I have worked hard to improve. I am lucky to get the opportunity to play with top-ranked players and to be trained by Indonesian coach Edwin Iriawan,”, reports The Telegraph. She is part of the 20-member Indian badminton squad for the Asian Games.